Forecasted to be a warmer but windy day. 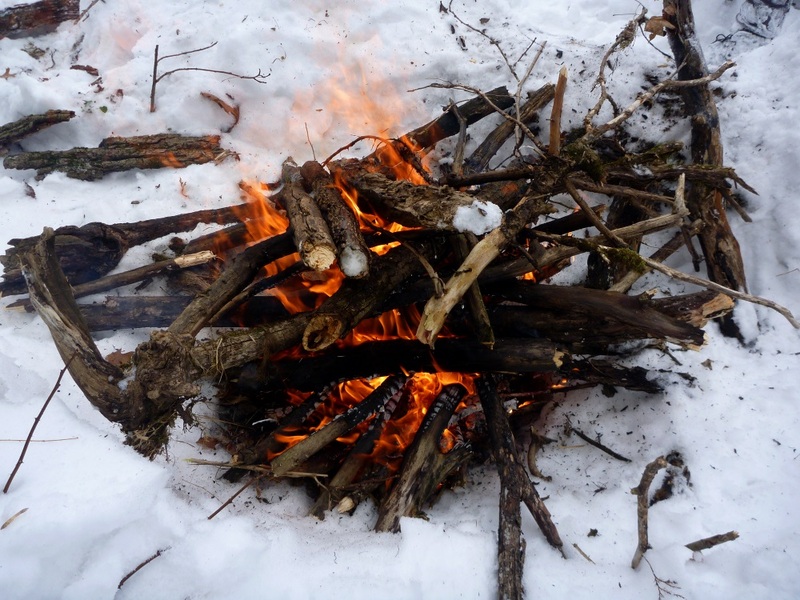 I wanted to avoid the problem of frozen over creeks, ice shelves and the wind but finding a pink line that affords all of these can be tricky. Thermodynamic stability, that was key. 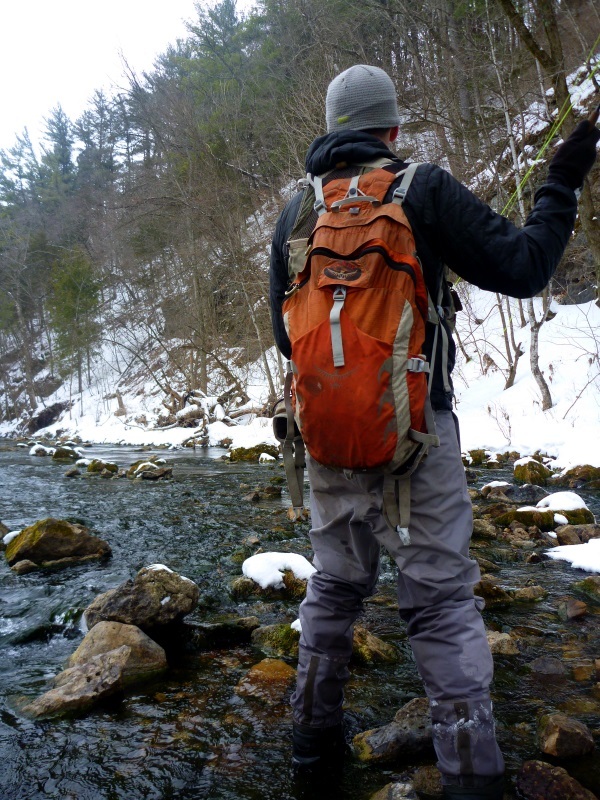 Finding the creek with the highest degree of thermodynamic stability that offered the most protection from the wind. Find these two things together and the day was going to be a success fish or no fish. 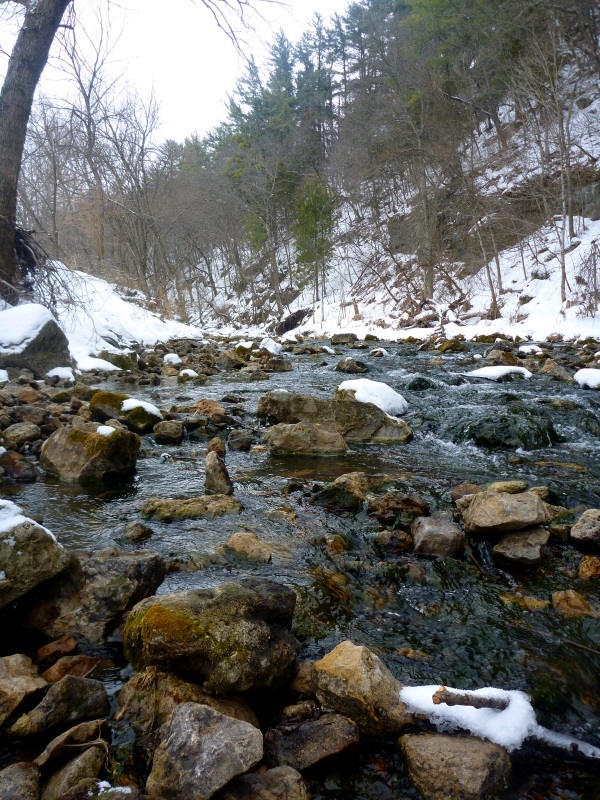 Spring fed creeks are what we have, the degree to which the creek is thermodynamically stable depends on the concentration of those springs in a given area. 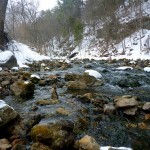 In the warmer months the creek remains cooler, the dissolved O2 levels remain higher and the trout remain more active. 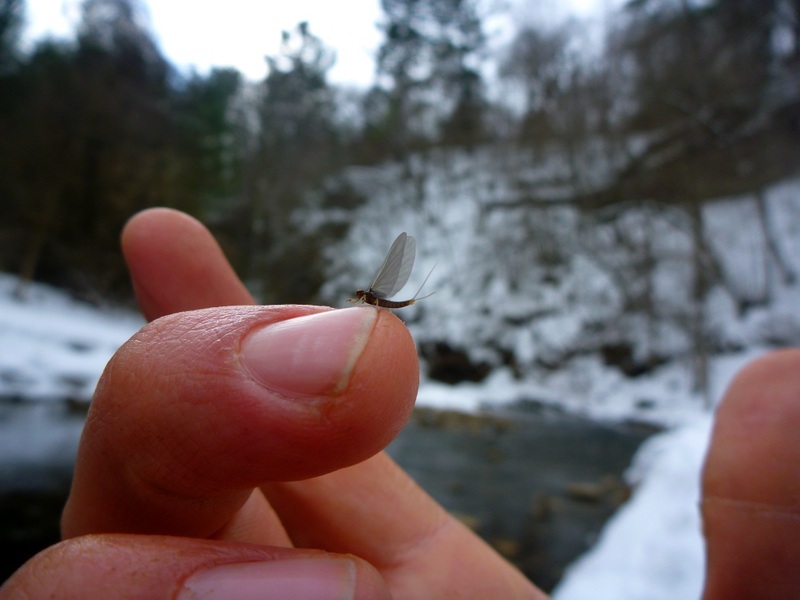 In the coldest of months the creek is warm, the trout and the bugs they feed on remain more active. I neglected to reflect on this when I picked my location the day prior, I wasn’t about to make the same mistake two days in a row. Met up with a good friend of mine and headed to the decided upon location. Got to try out a new pair of waders, felt good to have a new pair to rely on when needed. 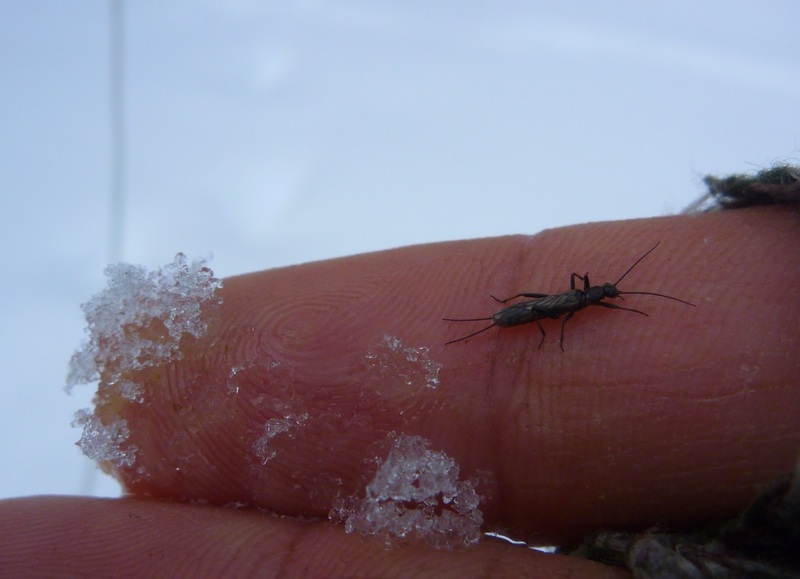 We rolled up to see midge and little black stoneflies all over the snow. 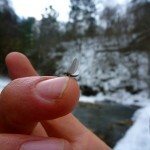 The midge had been emerging for a while, they were a good 100ft away from the creek when we showed up. 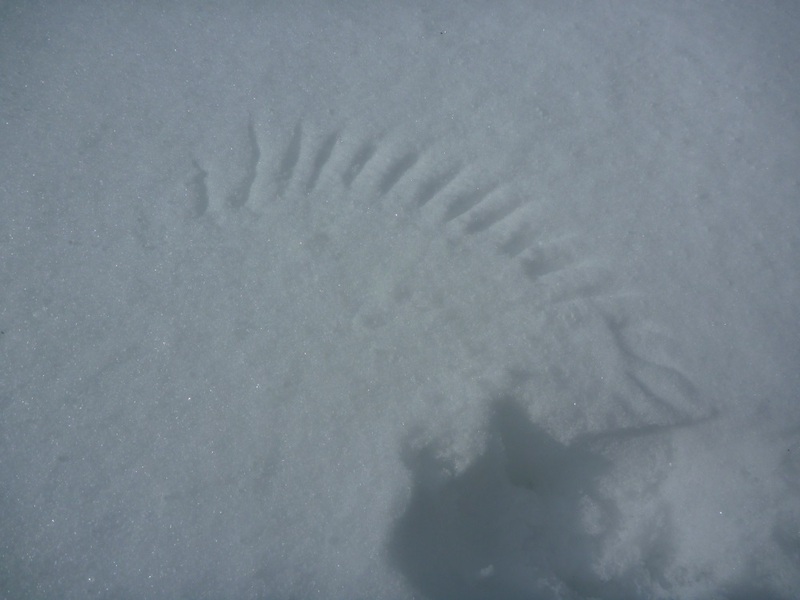 Take note of the wing marks in the snow (image below). I saw these the day prior, birds feeding upon the midge and Little Black Stones that had emerged and were crawling away from the creek. We even spotted a handful of robins enjoying the bugs. Minimal rising noted as we hiked downstream. I forgot the thermometer…again. 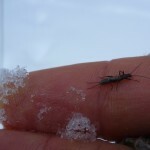 The LBStones outnumbered the midge 2-1, I wasn’t expecting to see that. 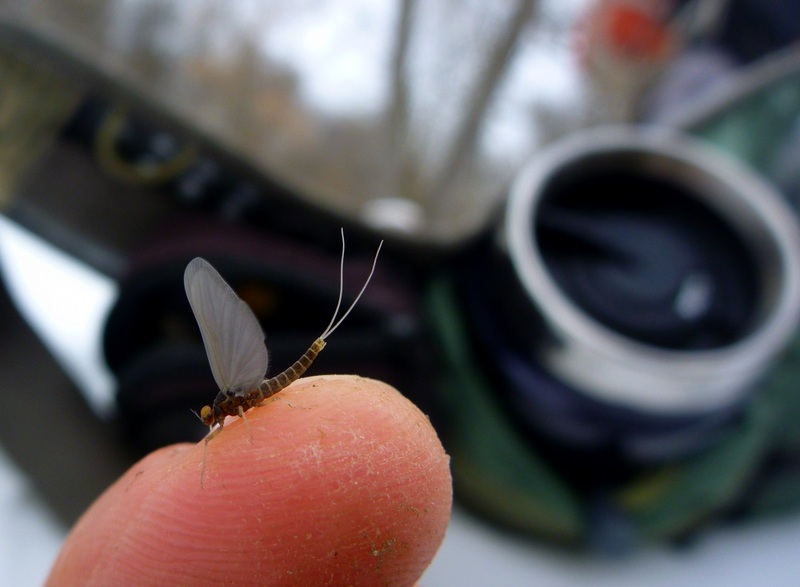 Given the potential for surface activity I opted for the #20 Jujubee midge that I love so much. My partner chose a streamer to fish the slop I left behind. 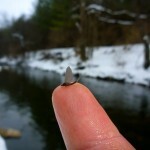 Once downstream I sat on a run making long casts attempting to bring a trout to surface but none would take. Carl rolled up behind me with his streamer and missed a light biter. We moved upstream repeating this scenario to no avail. Further upstream around 1:30pm and we spotted a consistent riser. Slow gin clear water, nothing easy about this one but that’s probably why I enjoy it as much as I do. I made two casts that fell short of the mark. I tried again but got another refusal. 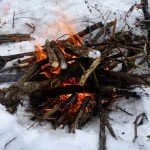 Carl advised I sit back in the snow and wait a few minutes. The signature sip of a midge was seen again and it was just a minute or two later when I noticed what I thought looked a bit odd. Maybe not odd but just not what I was expecting. 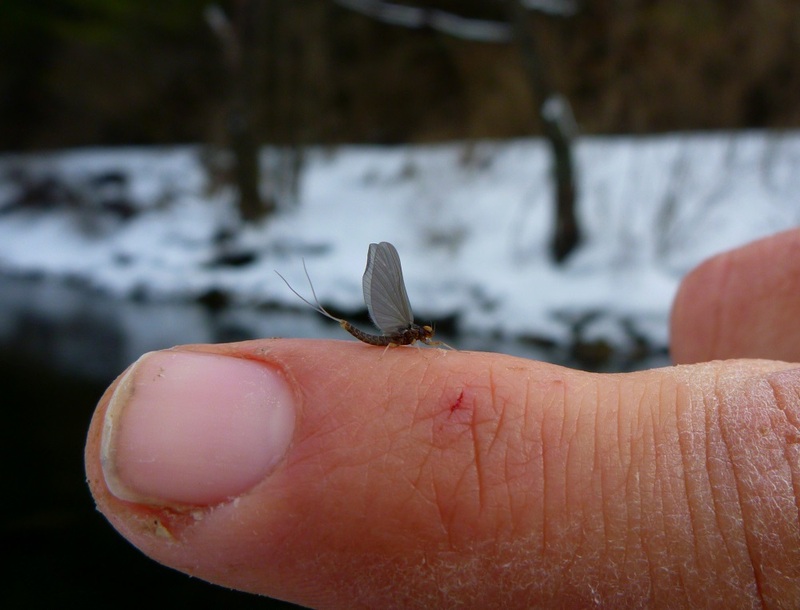 I knew something was up but didn’t put my finger on it until after I watched the brown holding tight to the bank rise and inhale the #18-20 BWO. 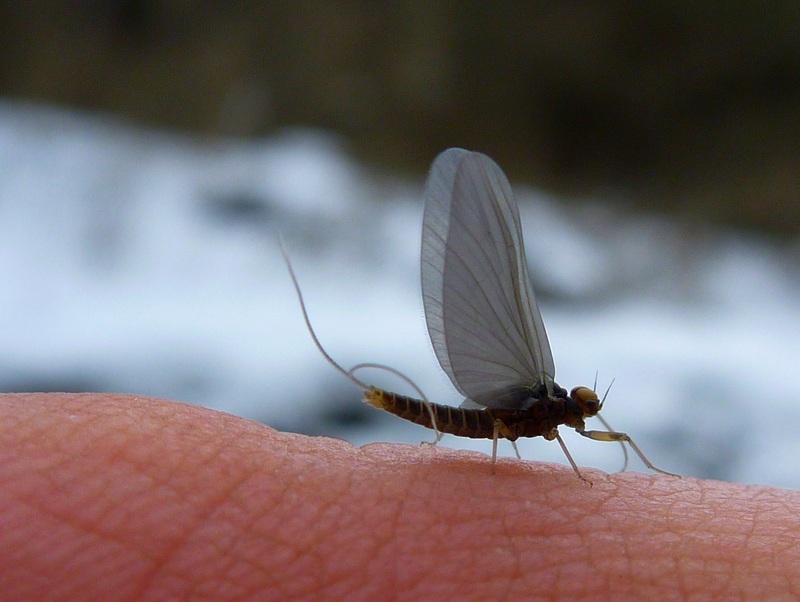 At the time I didn’t know it was a BWO but it wasn’t long before I spotted another, this one made it through the gauntlet and found me knee deep in the creek scooping it up. 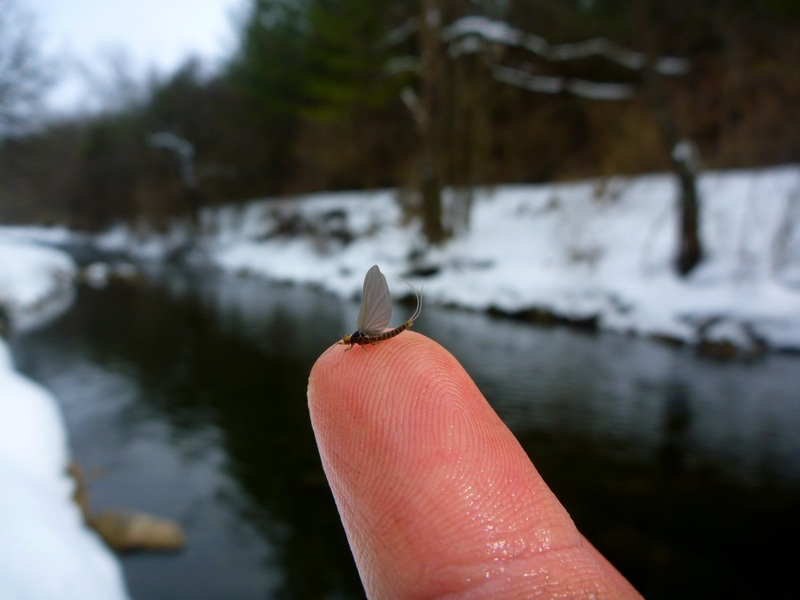 Grey body, thin and the length of a #18 dry fly hook. 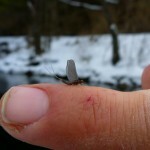 I opted to keep my Midge on with the adage that smaller will usually take a more cautious fish. Two more well placed casts and still nothing. The third and I let my guard down, a brief moment and it was over. 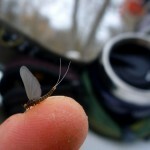 Slack in my line resulted in an overly aggressive hookset and with the 6X tippet I left my #20 Midge in a trout lip. Although I lost the fish this was a very satisfying exchange. 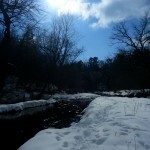 The sun began to shine through, the wind was light and it was truly a good time to be on the creek. 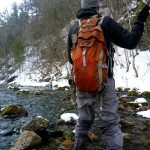 Carl and I continued upstream but the rising didn’t. 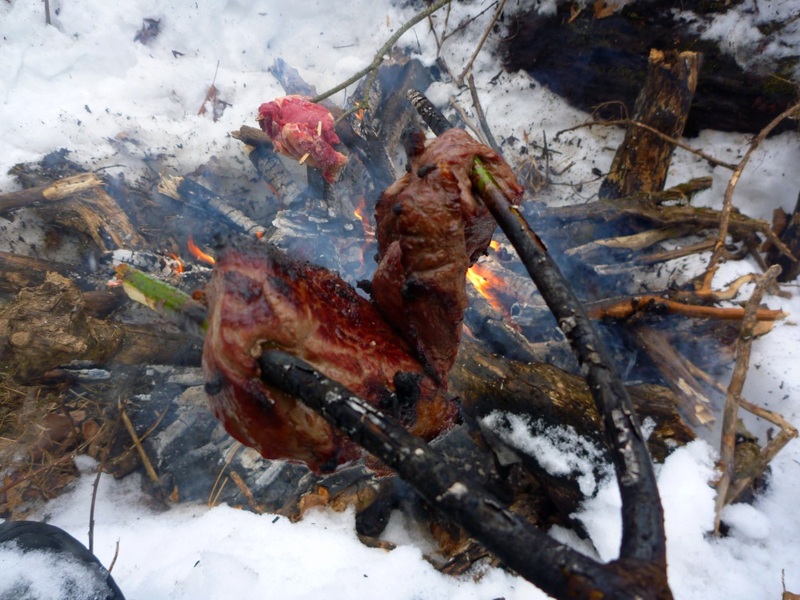 Lunch was on our minds and in true style Carl opens his bag to reveal two rib eye steaks. 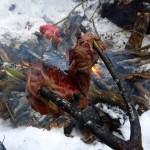 A fire was built in short order, sticks procured and it wasn’t long before we were pseudo-grilling some seriously nice cuts of meat. Tucked against a bluff we were unaware of the increasing wind as we ate. 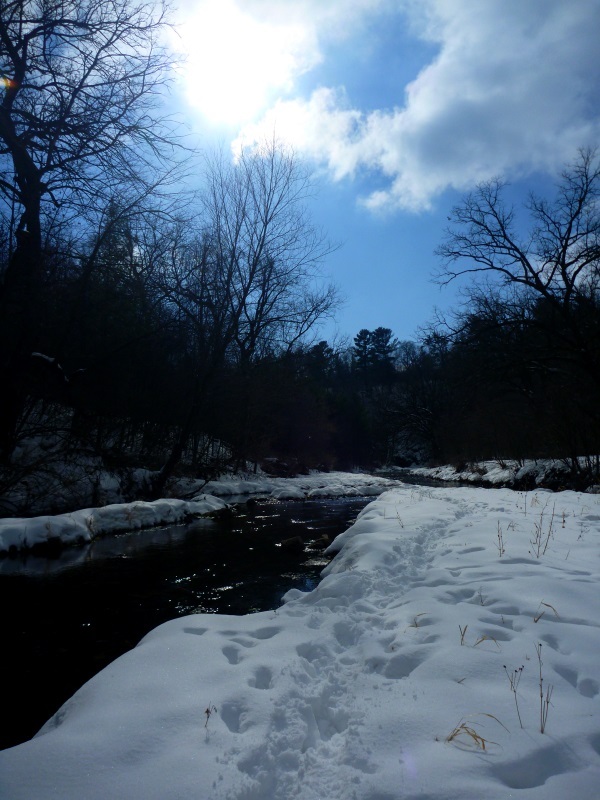 Once finished we approached the creek once more only to find a drastically different scene. Clouds had rolled in, the air temperature had dropped some and the wind doubled. 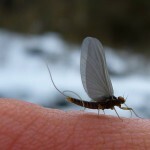 I swapped to a streamer accepting that the time to fish a dry fly had passed. We fished the rest of the pink line to it’s end with little to show. I missed two light strikes on my streamer and the wind beat us down but a day full of bugs, hiking through bluff country and rib eye steaks is a good day in my book. Thanks to Carl for a good time and great hospitality. Love the new look! You truly have a gift for photography and putting the memories that are forever etched in your soul into words for the rest of us to enjoy. Thanks man, I felt like a new look was needed and wanted to try something that put a bit more of the photography front and center but still allowed for me to continue the posts that I enjoy writing. Hope you and yours are well. 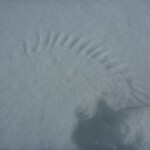 Spring will be here soon, perhaps you and I need to meet up and visit that one creek again? Still think about the possibilities to this day on that stretch. Absolutely! April first sound ok to you? Maybe even sooner if were aloud.